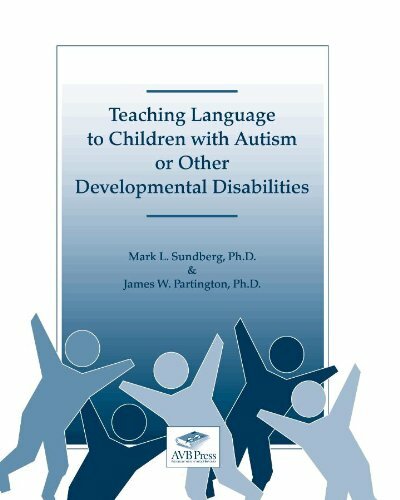 This is the original must have book for professionals and parents implementing a verbal behavior assessment and intervention program for children with autism or other developmental disabilities (often termed the Verbal Behavior Approach). The book provides an easy to understand introduction to Skinner s analysis of language (i.e., mands, tacts, & intraverbals) with easy to follow examples of everyday language skills demonstrated by children. The book contains a brief language assessment system; the Behavioral Language Assessment Form (BLAF) that will give parents and teachers a quick overview of a child s language skills (see the VB-MAPP for a more thorough assessment). The assessment is followed by descriptions on the basic teaching procedures for developing early and intermediate mands, tacts, echoics, imitation, matching-to-sample, receptive language, and intraverbal skills. The use of sign language and other forms of augmentative communication are presented along with suggestions for IEP goals, skill tracking, and data collection. The book also contains a chapter on the need for both structured discrete trial training (DTT) and natural environment training (NET). This is the latest version of the book and has been re-edited (2010), and professionally typeset thus it is 70 pages less than the original version released in 1998. This version (7.2) is exclusively published by AVB Press. If you have any questions about this product by Brand: AVB Press, contact us by completing and submitting the form below. If you are looking for a specif part number, please include it with your message.